I recently read the book, The Reinvention of Work, by Matthew Fox, in which he calls out the need for the revitalization and renewal of daily work; work that includes the spirit. The book was written in 1994, though I think the message is perhaps even more relevant today. This man was ahead of his time! If I had to come up with one word to describe the Earth's current status, it would be "breakdown". Yes, breaking down. It is quite clear to me that the Earth is in crisis, the issue of water access and contamination, deforestation, our broken health care system, public school system, and I could go on. The Earth is desperately craving to be healed, and in his book, Fox suggests that in order for the Earth to receive the healing, we as a species must claim back our spirits that have been buried in the machine age era. We are embarking on the age of the environment. Hallelujah! Given my passion for health prevention, nature, and high vibrational living, I especially liked his thoughts on health care. He referred to a Chinese acupuncture and herbal medicine clinic in San Francisco, founded by Harriet Beinfield and Efrem Korngold, that takes an Eastern medicine approach, "doctor as gardener", versus the Western mechanistic model of "doctor as mechanic". 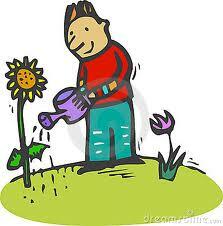 "The doctor is a gardener who respects the processes of nature, for the gardener does not make the garden grow. Nature does. The gardener is an ally who prepares the soil, sows the seeds, waters, and removes the weeds, placing plants in the proper relation to each other and the sun. The human body, in essence, is like the Earth body, for both the garden and the human body are microcosms of nature. The human body is to nature as a violin is to an orchestra, and the theory of correspondence dictates that in order for a larger system to be in balance as a whole, each smaller system within must also be balanced." So a couple of things here: first, I am a firm believer that our body heals itself naturally if given the proper environment, water, and nutrients. That is how people are being nursed back to health from having cancer without using chemotherapy (The Gerson Institute is a wonderful example). Second, humans represent a group of very highly evolved beings on Earth, and thus our healing on a micro level creates a healthy Earth on a macro level. In essence, each and every one of us needs to take responsibility for our "selves" - body, mind, and spirit. Makes perfect sense, don't you think? Beautifully put - I absolutely agree with you! Slowly but surely we're going into this direction. It starts within us too - health, love, peace... which then extends outward. LOVE "dr as gardener".... brilliant!